Pull up to a local beach and relax with a picnic, find a good fishing spot and catch your dinner, or explore the stunning bays off Airlie Beach. 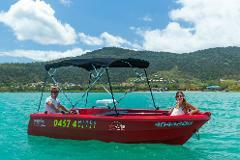 On a good weather day this boat can go out to as far as Daydream Island, Long Island and the Molle Group Islands. 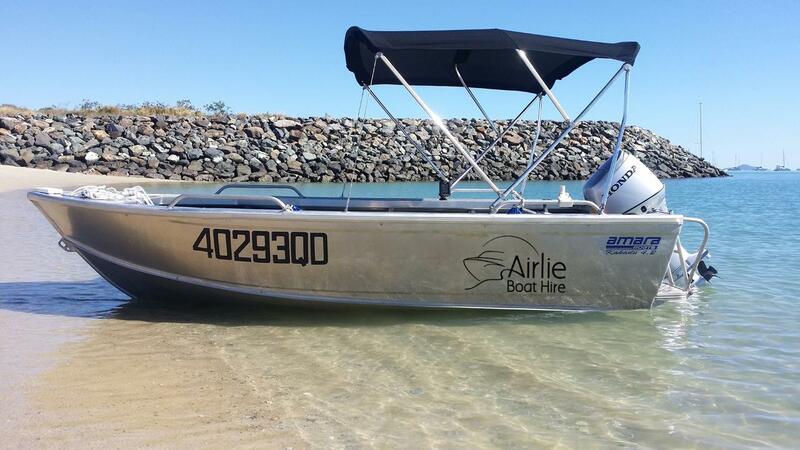 Please note that this boat cannot go to Whitehaven Beach. Please note: All our licensed boats come with a full tank of fuel. The customer pays for the fuel that they use. We take a $50 fuel bond and we will either refund you or charge you for the difference.